Everyone loves a good series. For children, reading books in a series provides opportunities to visit familiar characters, settings, and plot structures multiple times. Summer is a crucial and important time for kids to keep up their reading skills, and getting hooked on a great series can be the perfect way for young readers to stay on track. Remember to encourage children to try lots of different series, so that they experience a diversity of writing styles, genres, and protagonists. The following chapter book series are great for reading aloud and for independent reading. Zoom! Zoom! Zapato! Freddie Ramos doesn’t know who gave him the purple sneakers with silver wings, but when he wears them to race a train – and wins! – he knows they are very special shoes. With super speed and a heart of gold, Freddie loses no time in putting his superpower to work, helping those in need at home and at school. 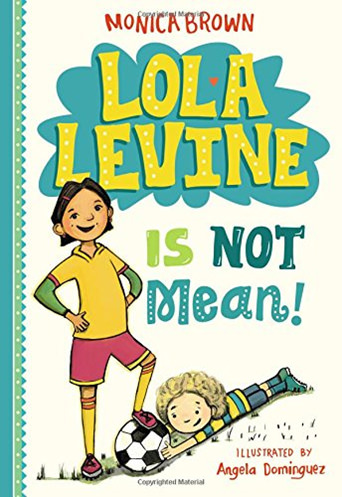 Lola Levine is a second grade soccer fanatic with a lot of energy. When she gets a little competitive during a soccer game and accidentally injures a classmate, the other kids start calling her mean. Readers know from page one, however, that this talented, resourceful girl cares about her friends and will figure out how to prove it. 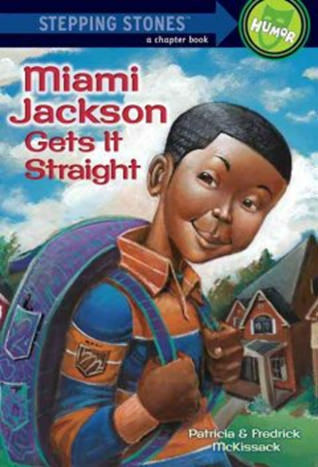 Miami Jackson is a character that many kids can relate to and admire. He sometimes loves school and sometimes loathes it. His friendships are tight, but also complicated. He stands up for what he believes in and tries to use good judgment, though he doesn’t always succeed. This series follows Miami through the end of third grade, summer baseball camp, and the beginning of fourth grade – where he locks horns with his strict new teacher. Read to find out what happens! Lulu loves animals. Ducks, rabbits, hedgehogs, hamsters – you name it. In each installment of this series, Lulu encounters and helps an animal in ways that reveal her own good nature and positively influence the lives and experiences of those around her. Readers will recognize how smart Lulu is and will marvel at her accomplishments among her furred and feathered friends. Calvin Coconut lives in a house nestled between a forest of mangrove trees and a sandy beach on the island of Oahu in Hawaii. In this unique setting, Calvin negotiates the twists and turns of family life, run-ins with neighborhood bullies, and the challenges of fourth grade. Through it all Calvin stays true to himself in his determination to have fun and live life to its fullest.